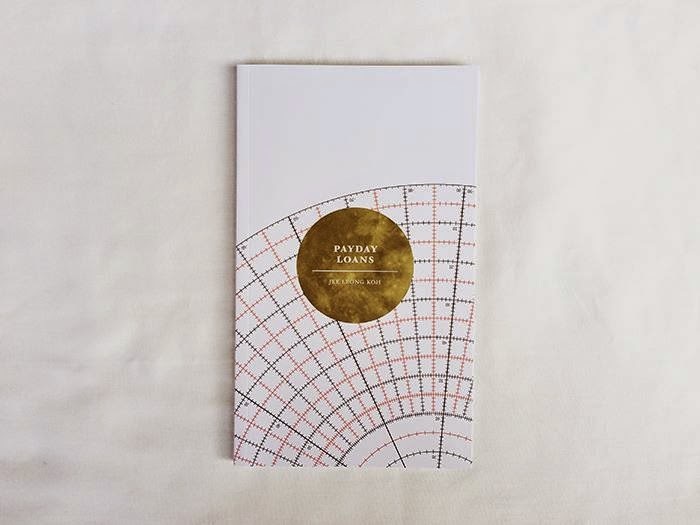 Math Paper Press re-issues my first book of poems Payday Loans in a beautiful new edition designed by Shellen Teh, with a new critical preface by Joshua Ip and an interview with me conducted by Chloe Miller for Eclectica Magazine. 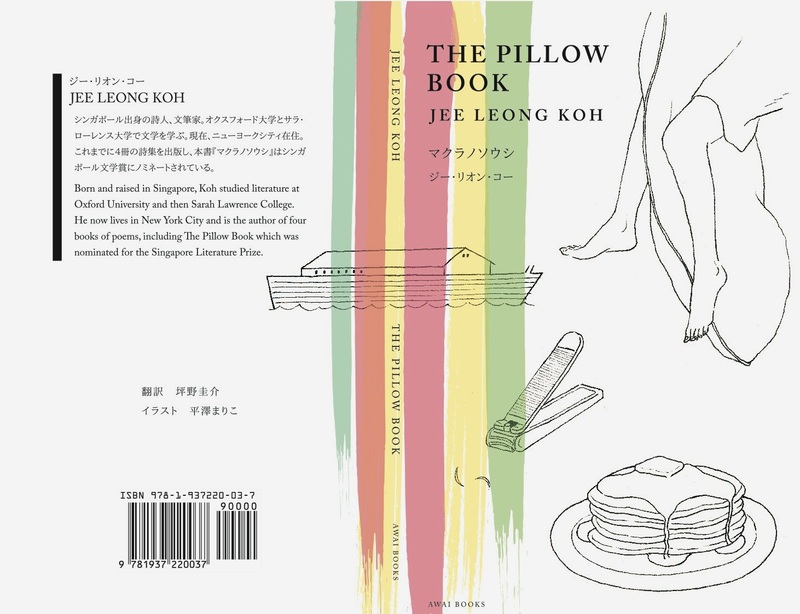 To launch the book, I read at BooksActually's reading series "An Evening with..." on Saturday, July 26. Ian Chung moderated the session, asking me questions about each of my books that I read from. I was really pleased to see familiar and new faces in the audience. I won't remember everyone, so my apologies in advance, but here are the faces that flash across my mind: Robert Yeo, Leong Liew Geok, Toh Hsien Min, Zhang Ruihe, Shawn Chua, Tania De Rozario and her lovely partner, Chong Li Chuan, Boedi Widjaja and his gracious wife, Weetz and his partner .... Shawn took the photo of me and Kenny's cat. Read with Gwee at Speakeasy #14 organized by Pooja Nansi at Artistry Cafe last night. Video taken by Alvin Pang. What the National Library has done—banning, and pulping, three children’s books because they depict untraditional families—horrifies and saddens me. I love the National Library, first in its original Stamford Road edition, and then in its modern translation in Bras Basah, for its vast repository of knowledge and pleasure. But the “generous giver,” as poet Edwin Thumboo calls it in his poem on the old library, has now taken away with a closed fist, and not just taken away, but will destroy the books. My Seven Studies for a Self Portrait has been "Received and Recommended" on the MANOA blog. Frank Stewart and Pat Matsueda, thanks for liking the book so much. The blog is a treasure of contemporary poetry, much of which is from Asia. Just want to remember that I saw the installations and political performances of Christoph Schlingensief, the paintings of Maria Lassnig, the painting and installation of Korakrit Arunanondchai, and the sculptures and ephemera of James Lee Byars. Had a lovely lunch with LW at a Peruvian restaurant around the corner afterwards. For three days in October (Oct 10th to 12th, 2014), sixteen Singapore writers will converge on New York City to share their exciting works. It is a wonderful opportunity to hear and engage with the most distinctive voices of the island-state, which celebrates its 50th year of independence next year. 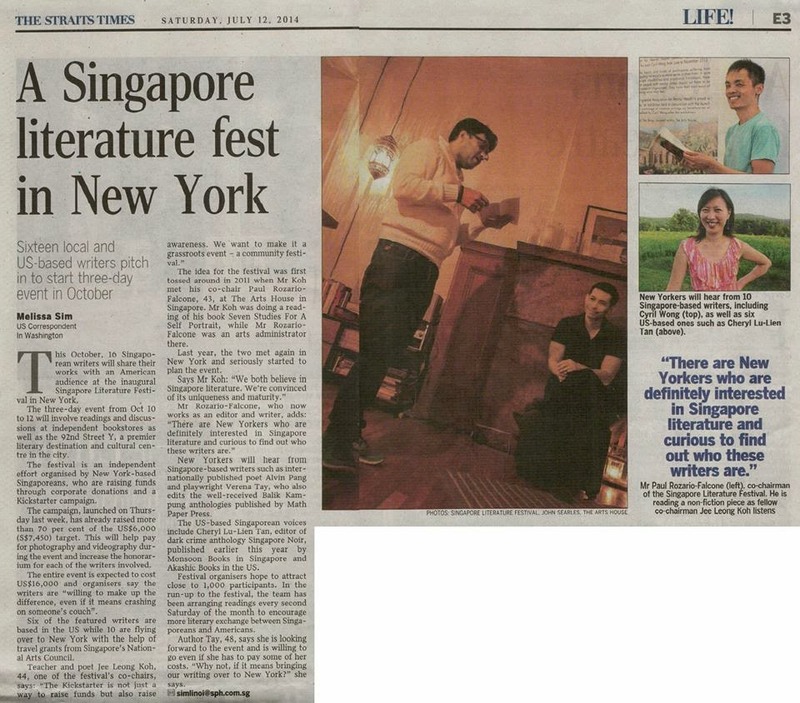 The Singapore Literature Festival will help deepen the dialogue between East and West, between Asia and America. The festival will take place in various locations around New York City including 92nd Street Y, NYU Writers House, Book Culture, and McNally Jackson. Cover for Japanese Translation of "The Pillow Book"
The cover for the Japanese translation of my Pillow Book. I love it! It pays tribute to the original cover by Math Paper Press, but the new design is at the same time so typical of Awai Books. Thank you, Matthew Chozick and team! Thank you, Mariko Hirasawa, for the wonderful illustrations! And Keisuke Tsubono for translating it. Banana Yoshimoto's "Kitchen" and Tse Hao Guang's "Hyperlinkage"
The two books are linked only by being carried in my bag to Fire Island last weekend. Banana Yoshimoto's book Kitchen is really two stories, a longer one, "Kitchen," and a shorter one, "Moonlight Shadow." Both deal with mourning for loved ones who died. After the death of her grandmother, her last relative, Mikage was "adopted" into the household of transgender woman Eriko and her son Yuichi. Neither Mikage nor Yuichi quite comes into focus, for me, as characters. It is Eriko, the embodiment of charm, who dominates the story with her personality, and whose death constitutes the true tragedy of the tale. She is Yoshimoto's update of the famous Chinese story by Li Yu, "A Male Mencius's Mother." The ending of "Kitchen" is charming. It is about the power of food, in particular, katsudon, to save one from numb despair. It reminds me of the nori-wrapped cucumber in Murakami's Norweigan Wood.